Universal Music Group Nashville consists of Capitol Records Nashville, EMI Records Nashville, MCA Nashville and Mercury Nashville. Reading like a “who’s who” of Music Row, the combined rosters include Alan Jackson, Billy Currington, Brandon Lay, Brothers Osborne, Canaan Smith, Carrie Underwood, Chris Stapleton, Clare Dunn, Darius Rucker, Dierks Bentley, Easton Corbin, Eric Church, Eric Paslay, Gary Allan, George Strait, Jon Pardi, Jordan Davis, Josh Turner, Kacey Musgraves, Kassi Ashton, Keith Urban, Kip Moore, Lady Antebellum, Lauren Alaina, Little Big Town, Luke Bryan, Maddie & Tae, Mickey Guyton, Sam Hunt, Shania Twain, Sugarland, The Band Perry, Travis Denning, Tyminski and Vince Gill. Since its founding in 2003, ROADSIDE ATTRACTIONS films have grossed over $300M and garnered nineteen Academy Award® nominations. Roadside has released such critical and commercial hits as Manchester by the Sea, Beatriz at Dinner, Stronger, Love & Friendship, Hello My Name is Doris, Mr. Holmes, Love & Mercy, A Most Wanted Man, Dear White People, The Skeleton Twins, All Is Lost, Mud, Winter’s Bone, The Cove, Arbitrage, Margin Call and Super-Size Me. 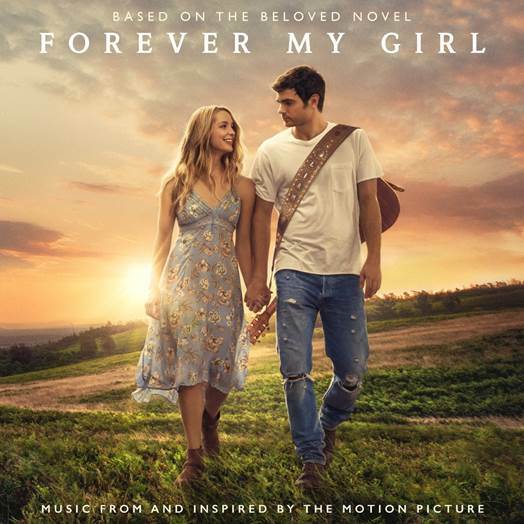 Its upcoming slate includes Forever My Girl, starring Alex Roe, Jessica Rothe, Abby Ryder Fortson, Travis Tritt, Judith Hoag and John Benjamin Hickey; Sally Potter’s The Party, starring Cillian Murphy, Patricia Clarkson, Kristin Scott Thomas and Timothy Spall; Jon and Andrew Erwin’s I Can Only Imagine, starring Dennis Quaid, Cloris Leachman, Trace Adkins, Priscilla Shirer, and Broadway’s J. Michael Finley and Richard Loncraine’s Finding Your Feet starring Imelda Staunton, Timothy Spall, Celia Imrie, David Hayman, John Sessions and Joanna Lumley, among others. LD Entertainment is an independent film studio that finances the development, production and distribution of elevated and thoughtful films and television. Founded in 2007 by veteran television and film executive Mickey Liddell, LD Entertainment has produced numerous award winning films covering all genres. LD’s recent films include the Academy Award nominated Jackie, starring Natalie Portman and directed by Pablo Larrain, The Zookeeper’s Wife starring Jessica Chastain and directed by Niki Caro and Megan Leavey starring Kate Mara and directed by Gabriela Cowperthwaite. Past films include Anthropoid with Cillian Murphy and Jamie Dornan, The Grey starring Liam Neeson and Risen starring Joseph Fiennes and Cliff Curtis. LD has also produced and received Oscar nominations for the poignant and complex films Biutiful starring Javier Bardem and Albert Nobbs starring Glen Close.